A British institution in itself, Tea at The Ritz is proud to be a member of the Tea Council's prestigious Tea Guild.Served in the spectacular Palm Court, a choice of several varieties of tea, finely cut sandwiches, freshly baked scones, jam and clotted cream and a range of delicate pastries, combine to make for an unforgettable afternoon. The luxurious and graceful setting of The Ritz Palm Court is legendary and this is most certainly an opportunity that must be experienced, whether you are visiting London or already live there.The Ritz London has a formal dress code in its public areas. Gentlemen are respectfully requested to wear a jacket and tie, and jeans and trainers are not permitted for ladies or gentlemen. 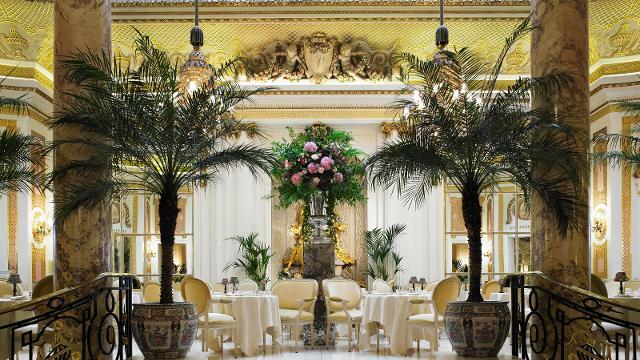 Is Afternoon Tea at The Ritz your business?